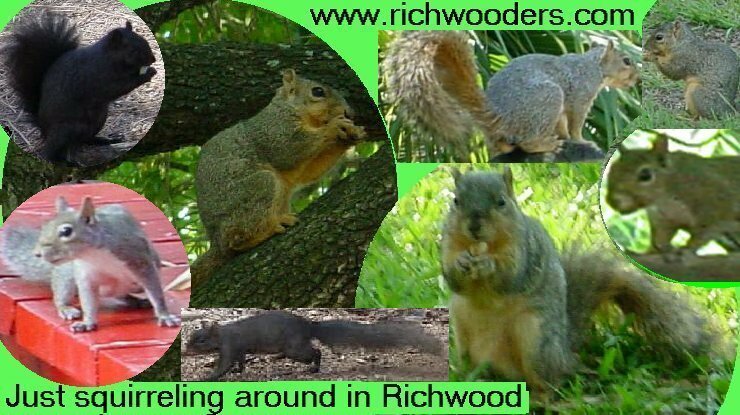 Just squirreling around in Richwood. Fox Squirrels and grey squirrels are quite plentiful in the appalachian mountains. 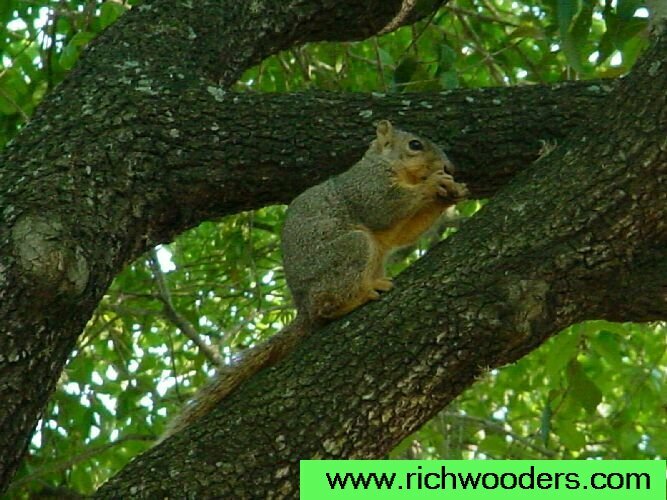 Fox Squirrels have reddish orange bellies and are bigger, while gray squirrels have white bellies. Submitted by: BillybobA Fox Squirrel (Scientific Name - Sciurus niger), weigh around 3 pounds. Their length about 17 inches, nose to tail. Bushytails squirreling around in Richwood. West Virginia red squirrels are solitary, is a rusty red color and active during the day all year long and is the smallest of the tree squirrels, with the exception of the flying squirrel. Adult total length is 10 - 13 inches, nose to tail. Weight for adult red squirrels is 7 to 8 ounces. The red squirrel populations tend to fluctuate depending on the available food supply. The red squirrels nest is usually located in a tree cavity or a woodpecker hole. Red squirrels mates in the spring and summer. They are known as (mountain boomers) pine or red squirrels. The northern flying squirrels are for real and are federally listed as endangered. This species is known to range in Virginia and West Virginia. I've only seen one northern flying squirrel in West Virginia (1957) which are rarely seen. In 2003 Canaan Valley National Refuge staff confirmed the presence of West Virginia northern flying squirrel at the refuge. Squirrels as Pets Most squirrels are wild animals and are not availabe as pets. But some squirrels like the Southern Flying Squirrel or American Flying Squirrel (Family: Sciuridae), are sometimes available and make great companions. Weight for flying squirrels is 3 to 8 ounces. Their length about 8 inches, nose to tail and mostly solitary and are nocturnal. They are very affectionate to their owners and flying squirrels have a membrane between their fore and hind feet, they are able to actually glide for short periods. There are many subspecies of squirrel. All squirrels like acorns, walnuts, pecans, and others nuts. When nuts are available, squirrels will harvest as many as they can and hide them by burying them in the damp earth. Nuts are not always available however, so squirrels will take other foods such as seeds of hickory, flowers, pine, maple, sycamore, elm; berries, fungi, mushrooms and bird's eggs. Sometimes carnivorous, they will eat young birds and insects. The Squirrel mates in late January and early Feburary with much chasing around in the treetops. A litter of 3-6 young is born in late March or April, and sometimes they will produce a second litter in late autumn. Predators include,snake,Red tail hawk,Red shouldered hawk, Broad winged hawk,Cooper’s hawk,Great horned owl,Long-eared Owl,Barred owl,American crow,Common raven,Raccoon,Opossum,Weasel,Red fox,Gray fox,Bobcat,Coyote,feral or domestic dog,feral or house cat and mink.